Prosecco is here to stay and don’t try and tell us otherwise. At roughly 80 calories a glass, it contains almost half the calories of a glass of red wine and is packed with polyphenols known to have beneficial effects. But all is not what it seems. 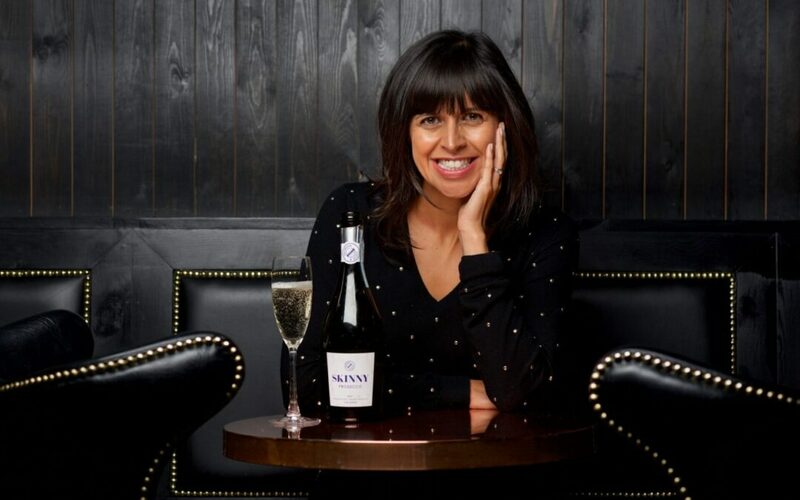 Enter Amanda Thomson, a former BBC presenter and founder of Thomson & Scott, a fast-growing luxury drinks brand dedicated to revolutionising the alcohol industry. Amanda is passionate about, and relentlessly focused on, producing low and no sugar sparkling wines. If you think it couldn’t get better, it has. Skinny Prosecco contains just 67 calories per 125ml glass but also contains only 7 grams of sugar per litre – half that of regular proseccos which contain between 12 and 15 grams per litre. We are nothing short of delighted to bring you this exclusive interview. In fact, before we even met Amanda, we were already in love with her product. At the soft launch of our legal boot camp for early stage entrepreneurs earlier this year the challenge we set the two teams was a Dragons’ Den style pitch for Skinny Prosecco. Amanda talks cutting sugar, US expansion and why she thinks founders shouldn’t have a Plan B.
I am bringing delicious, top quality Champagne and Prosecco to delighted drinkers across the globe with a strong focus on transparency, inviting consumers to ask, “what’s in my bottle?” Skinny Prosecco practices a completely vegan process, cutting sugar where it’s not needed. Selfridges. The one I really wanted! They sought us out at Taste Festival after we had created a media buzz and Telegraph magazine fortuitously featured me on their Food & Drink page that same weekend. As it does now but with me cloned x 999 to achieve 100 x as much, faster, globally. Our Thomson & Scott Foundation would already be helping bring on the next generation of entrepreneurs who may not have otherwise had the opportunity. Plus, importantly, the trickle-down effect would have been achieved, where all wines, even in cheap categories, were cutting sugar and chemicals. Our US deal. I can’t say much more on that but it’s beyond exciting, as I always perceived that as our big opportunity. That on a commercial level, and on a global impact level, doing our damn best to become as green a company as we can, while improving branding and getting itchy feet about the next wave of our portfolio which should be ground breaking. Everyone will be drinking less alcohol, there’ll be a focus on quality vs quantity, no question, and we are leading the charge. Cut sugar. Drink better. Simple. Yes, I did it myself. I believe it’s a numbers game. The journalist in me scoped out the whole landscape then made decisions not based on where I was/am at the time but on where I wanted to be at exit – or IPO in fact. As a fan of Champagne, I discovered to my amazement that Champagne and sparkling wine can contain unnecessary sugar and chemicals. Whilst studying wine at the Cordon Bleu School in Paris, I found a Champagne maker who made top quality Champagne without the need to add that sugar but focus on the purity of the grapes. 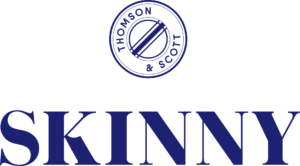 I set up Thomson & Scott to answer the question I was asking myself: “why are we obsessed with what’s in our food but not what’s in our bottle?” Promoting greater transparency in wine, I have devised a portfolio of Champagne and Prosecco that offers top quality but cuts unnecessary sugar levels. Our products are also vegan and our Prosecco is 100% organic, proving that it is possible to produce beautifully crafted wine without the need to add unnecessary chemicals and sugar. 7 hours give or take. I don’t function well without sleep! I’m a night owl rather than a morning person so when I was a broadcaster, while I loved radio, the breakfast show was always a struggle for my body clock. Where to start? Friends… I’m hoping I’ll still have some when I come out the other side! Power yoga. Perfect for de-stressing. Question: Should Entrepreneurs have a Plan B? Answer: No. I wouldn’t recommend the crazy all-in journey unless you’re 100% compelled. Otherwise, what’s the point? Change the global wine world and cut sugar in wine one beautiful bottle at a time.